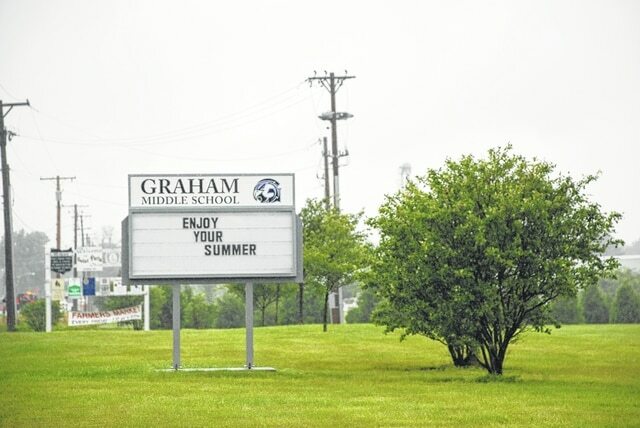 The sign at Graham Middle School on the eastern edge of St. Paris seems ironic as rain fell around the area again on Monday creating flooding and making drainage areas, creeks and rivers rush madly along in a muddy stream of runoff. In addition to the heavy rain on Monday, parts of the DP&L service area between Urbana and St. Paris lost electrical power for part of the afternoon. Crews were seen working in the area between Mad River and Muzzy’s Road at approximately 1:45 p.m. and customers were told power would be restored by approximately 2:30 p.m.
Steve Stout | Urbana Daily Citizen Pooling water rises in a ditch near Graham Middle School on Monday as heavy rain returned to the areas already saturated by last week’s persistent rain. 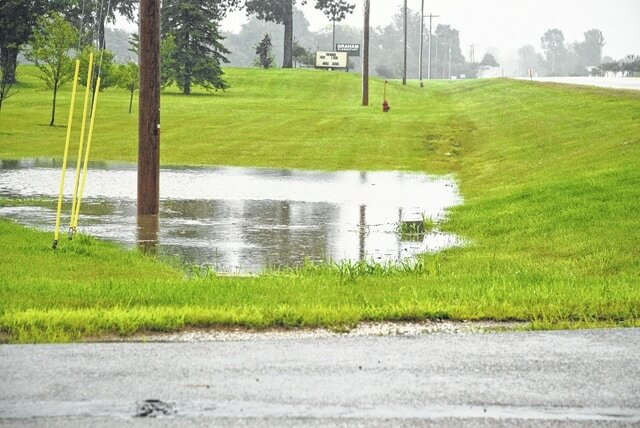 Pooling water rises in a ditch near Graham Middle School on Monday as heavy rain returned to the areas already saturated by last week’s persistent rain.